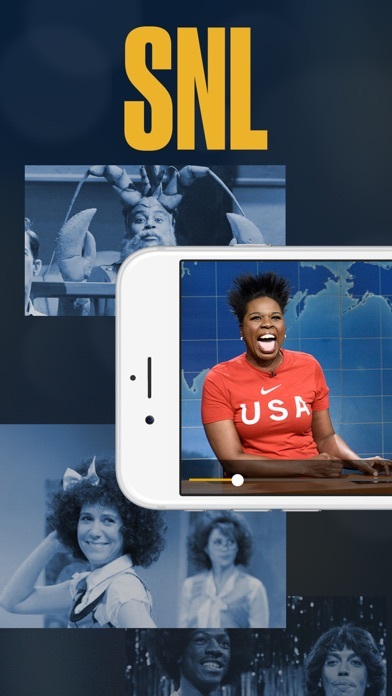 The SNL Official App brings over four decades of live comedy to your fingertips with clips of classic sketches and digital exclusive videos from every single season of TV’s late-night landmark. Sign in to watch favorites like Alec Baldwin as Donald Trump, Kate McKinnon as Kellyanne Conway, Weekend Update, Andy Samberg and Justin Timberlake's digital shorts, the Coneheads and more. Watch classic performances by beloved cast members, including John Belushi, Kristen Wiig, Chris Rock, Will Ferrell, Eddie Murphy, Chris Farley, Jimmy Fallon and many more. 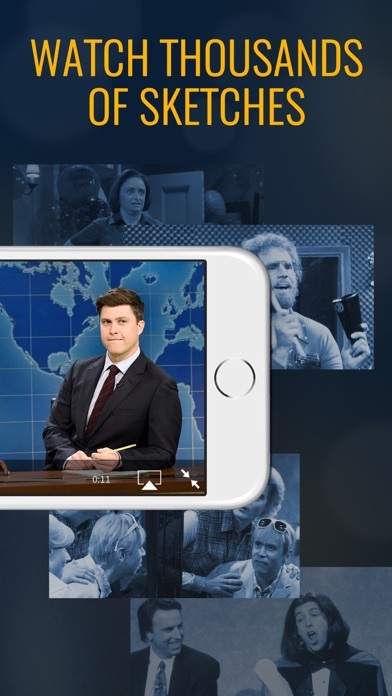 Stream exclusive SNL videos and clips from the current season. 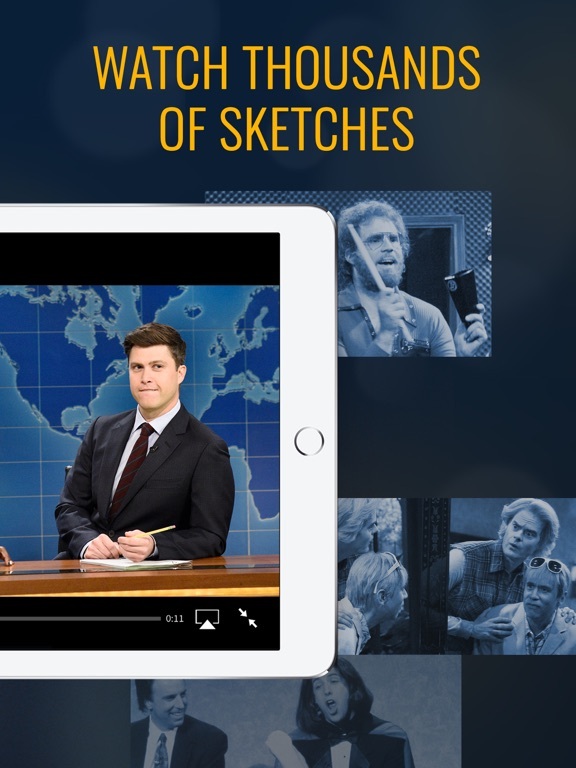 Share your favorite sketches with friends using custom SNL stickers. • Watch digital exclusive clips from the vault and cut-for-time sketches. • New for Season 43! 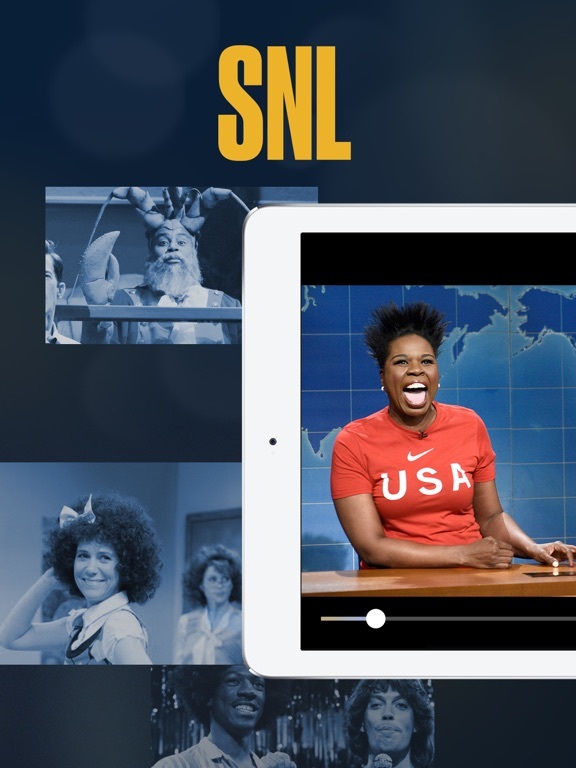 Playlists featuring the best in SNL entertainment, curated by the show just for you! • Search clips or browse by season, episode or cast member to find your favorite monologues, commercial parodies, Weekend Update segments and more. • Swipe from clip to clip for a seamless, continuous viewing experience. • Favorite sketches and share them via Facebook, Twitter, text and more. 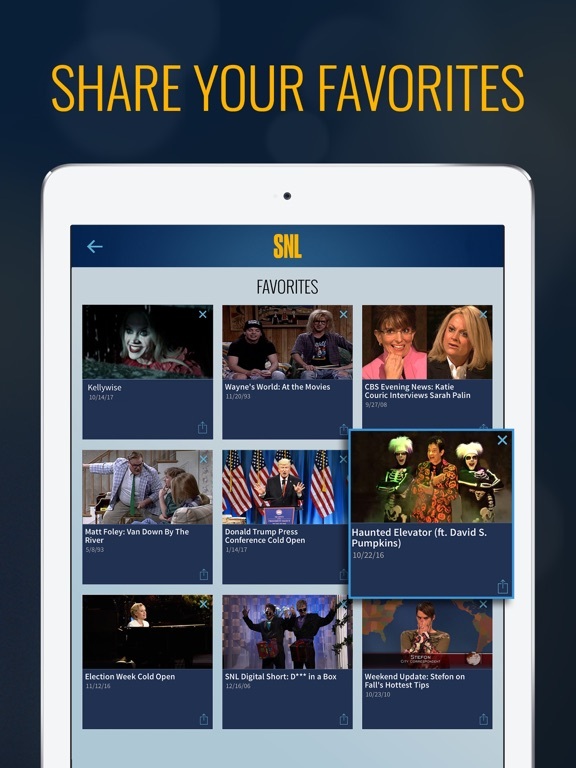 • Discover new videos and clips with the SNL App's intuitive recommendation engine. • The more videos and sketches you watch and like, the better recommendations you'll receive! • Get 95+ exclusive stickers for free, featuring favorites like Drunk Uncle, Matt Foley, Mary Katherine Gallagher, the Coneheads and more. New stickers added all the time. 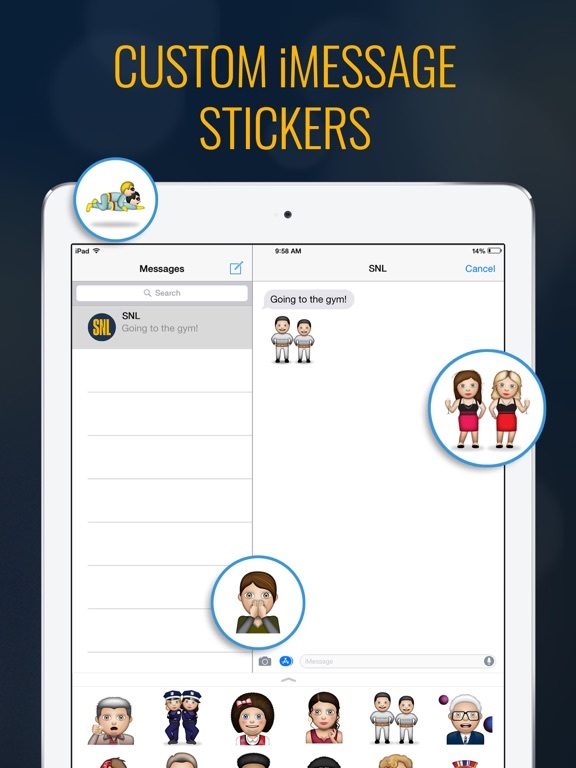 • Use stickers in iMessage conversations with friends when using the native Messages app. • Send clickable iMessage stickers that feature a link to your favorite sketches. • The SNL sticker pack is free to download on the App Store for iMessage and requires iOS 10 or above. 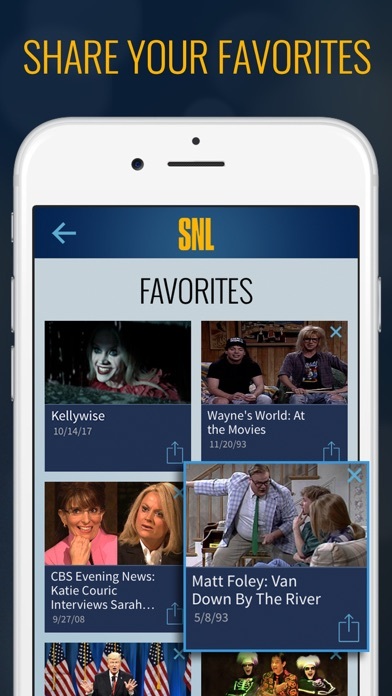 • The SNL Official App will automatically download to your device when you install the SNL sticker pack. • Open a message and address it to a contact you know needs an SNL sticker. • Hit the “App” button (it looks like an A), then tap the four gray ovals to open your App drawer. 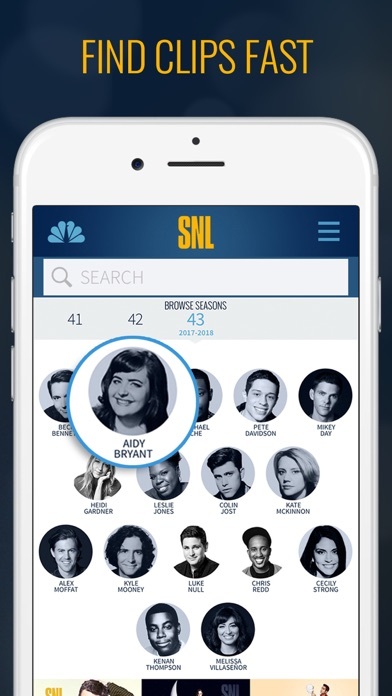 • Tap the SNL logo to open up the stickers selection window. 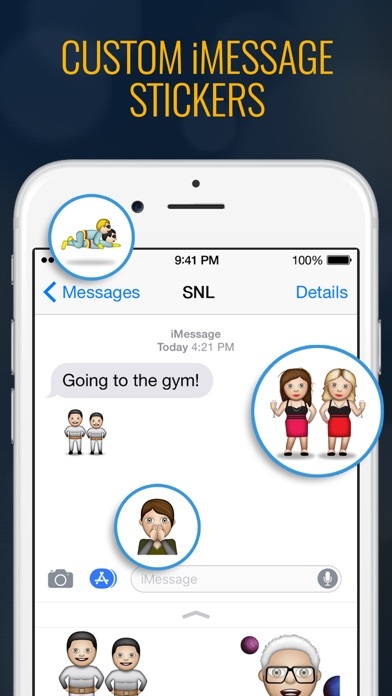 NOTE: If you don't see the SNL stickers in the Messages app after downloading, go into the App Store for iMessage, click the Manage tab and make sure the SNL App is activated. 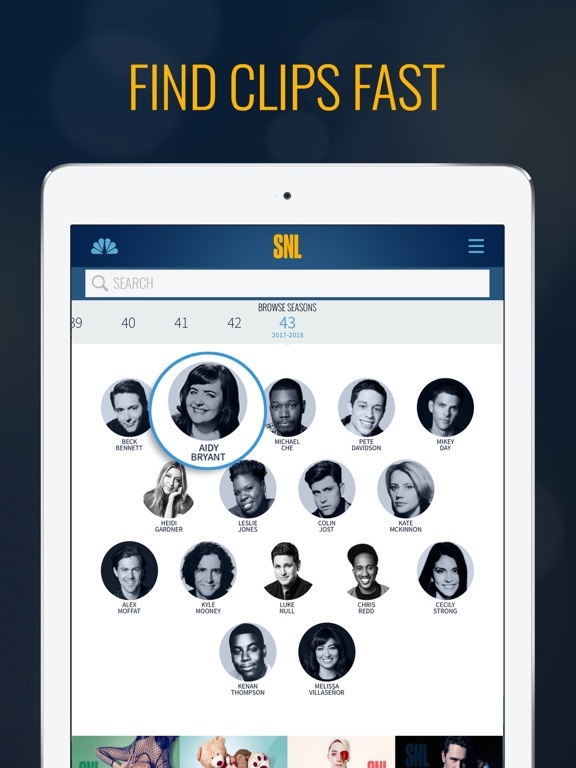 When the SNL App is active, the toggle will appear green. • The app is best experienced on iPhone and most iPads (iOS 8 and above). • AirPlay videos so you can enjoy everything the app has to offer from multiple devices.